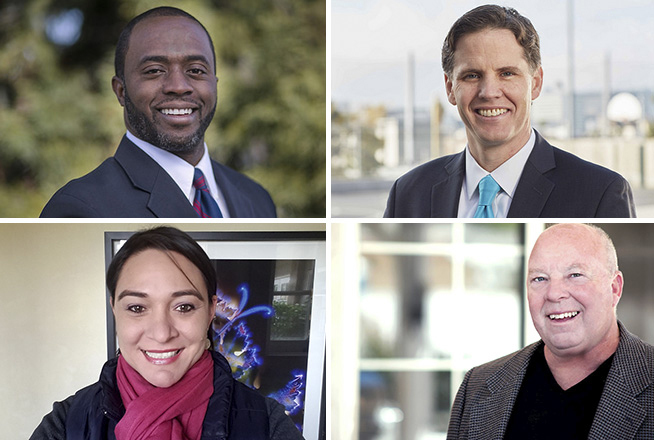 A week from today is California’s primary, and four candidates are running for state Superintendent of Public Instruction. LA School Report interviewed all four on what makes for a high-quality school, how to engage parents, how to help the lowest-performing schools, why they’re running, and more. Marshall Tuck, 44 and a Democrat, was born in the Bay Area and lives in Los Angeles. He graduated from UCLA and Harvard Business School. He spent two years as educator-in-residence at the New Teacher Center, from 2015 to 2017. Previously, he led Green Dot Public Schools, a network of independent charter schools in Los Angeles, and Partnership for Los Angeles Schools. He narrowly lost to Tom Torlakson in the 2014 race for state superintendent. We’re going to shift LCFF dollars and make sure they go to the kids of greatest need. Secondly, we’re going to bring in additional people to help your school and your school district have more success. Go and coach and mentor and build capacity at a low-performance school. You have to build the capacity of the professionals. Third is, we’re going to get you more involved. You’re going to be a part of the solution. And then fourth, you have to increase staff. Not necessarily just increase staff, not necessarily just for class size. But you also want to increase psychologists and counselors on certain campuses. You have to have school leadership that can actually move the needle dramatically on the schools. Read more from Marshall Tuck. Tony Thurmond, 49 and a Democrat, is in his second term representing Richmond in the state Assembly. He was born at Ford Ord in Monterey. After his mother, a Panamanian immigrant, died when he was 6 years old, he was raised in Philadelphia by a cousin. He graduated from Temple University and received dual master’s degrees in law and social policy and social work from Bryn Mawr College. Thurmond served on the Richmond City Council from 2005 to 2008 and the West Contra Costa Unified school board from 2008 to 2012. I think at the Department of Education we have to listen to our constituents, our districts, our students, our families. I think they’re asking for help. For me, I see serving as superintendent as a way to help marshal resources to help districts. You know, with us being 46th in the nation for pupil spending, I think we’ve got to change that narrative. We’ve got to get ourselves as close to being number one in what we fund and invest in our students, investing more in STEM education, career and technical education, and prepare our students for the jobs of tomorrow, and make sure all of our teachers are well trained to the new standards, so that we’re preparing students to be critical thinkers, not just students who memorize what’s on the test. Read more from Tony Thurmond. Lily E. Ploski, 44, is running as an independent. She was raised in public schools in Orange County and Riverside County and attended community college at Diablo Valley College in the Bay Area, where she found her life’s passion to work in education. She received her bachelor’s degree from the University of California, Berkeley, a master’s degree from Teachers College at Columbia University, and a doctoral degree from California State University, Fullerton. Ploski is a former administrator at Solano Community College and teaches financial literacy to inner-city high school students in an Upward Bound program at Mills College. My role in the race is to provide an alternative to the people in the state of California. The two main opponents are Marshall Tuck and Tony Thurmond. They both have very little experience in education. They have little to no teaching experience, and they’re really sort of that traditional establishment, getting a lot of their monies from Fortune 500 companies, or from organizations that are really establishment. They’re status quo, and I feel like I provide that progressive third option. Read more from Lily Ploski. Steven Ireland, 59, was the last to enter the race. He is nonpartisan, has never run for office before, and is running as “the parent candidate.” The only position he has held in education was PTA president at Toluca Lake Elementary School, in the Los Angeles area. He works full time as a television producer. His two sons attend an LA Unified high school, and his daughter attends a magnet middle school. What got me in the race is a couple of different things: On any given night the LAUSD had 12,000 homeless students. Why aren’t we helping these kids in our schools? The other thing that I’m very concerned about is the board. The board basically controls everything — a $76 billion budget. The current board has six PhDs on it. There’s a charter school expert, and you have a student representative, but you don’t have a parent representative. I’d like to see a dedicated, either PTA or other parent group, recognized parent group representative that can bring concerns to the board directly from parents. Read more from Steven Ireland.